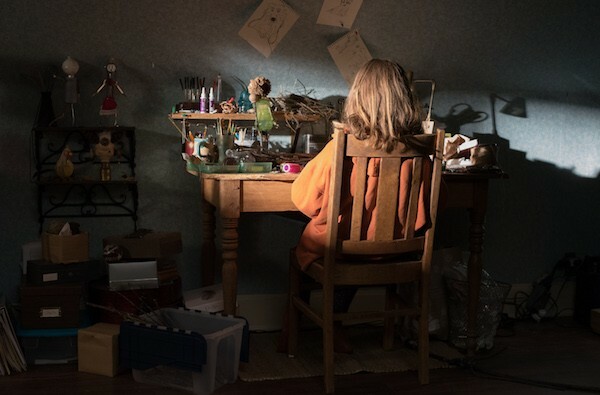 Newbie writer-director Ari Aster makes a startling film debut with Hereditary, the sort of slow-burn horror yarn that gets under the skin with needlepoint precision. Toni Collette delivers a bravura performance as Annie Graham, an artist whose mother has just passed away. Annie and Mom weren’t close, but the tensions don’t end there. Mental illness runs in Annie’s family, and her relationships with her son Peter (Alex Wolff) and daughter Charlie (Milly Shapiro) are, at best, awkward. For his part, Annie’s husband Steve (Gabriel Byrne) patiently tries to keep everyone calm and behaved. Yet that proves exceedingly difficult once tragedy hits the family unit and matters take a supernatural turn. Although there are moments of shocking brutality and gore, Aster’s emphasis is on establishing and maintaining a sense of genuine dread. Such an approach places the picture in the company of such earlier works as Rosemary’s Baby, Vampyr, Diabolique and the underrated ‘70s effort The Mephisto Waltz — high praise indeed. If this film never quite ascends to their heights (that climax is awfully busy and rather rushed), it’s nevertheless an impressive calling card that Aster can whip out at future studio pitches.